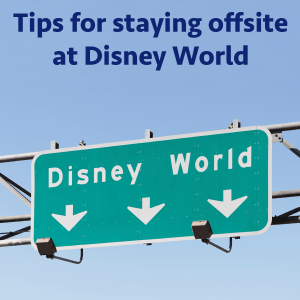 There are lots of perks to staying offsite during Disney World trips, and we have some tips on doing that for you today. I also have a quick tip about a handy new app feature. There's a large supply of places to rent around Disney World. From condos which are usually 2 -3 bedrooms to townhomes (which usually have 3-4 bedrooms and some may include splash pools) to private full sized homes which are usually 4 to 6 or even more bedrooms. You’ll find that lots of the private homes have pools. You almost never will find a full-sized private pool in a house smaller than 4 bedrooms. Just because there are more bedrooms doesn’t mean it will be more expensive. Since there are lots and lots of houses that are 5 and 6 bedrooms you can often find those as cheap if not cheaper than the 4 bedrooms. Heather has never rented anything smaller than a 5 bedroom. Heather prefers using a site that allows you to search not only by price and bedrooms, but also allows you to limit it to certain areas or even better, neighborhoods. Location is important. There are lots of great places to stay but if you are planning on taking midday breaks you don’t want to go too far away or it won’t be as easy. Sites like VRBO or Home Away let you narrow down by neighborhoods. Different neighborhoods have different amenities. Consider if you want a gated community, community pool, playground, gym, etc. As you research you may feel like you are seeing the same houses over and over, and sometimes that is true because houses can be listed by both the owner and sometimes you’ll see it listed by the management company. The same house can also be listed on multiple sites. While it is important to rent a house that has a good management company that has positive reviews and is reliable, etc., it is almost always cheaper to rent directly from the owner instead of through the management company. When you rent from a management company the price is usually more expensive because if the management company secures the reservation they get to take a piece of it as a commission. However, if the owner secures the reservation they don’t have to pay that commission and therefore the cost to you is cheaper. Once you have the address you can check websites like Zillow or Realtor.com to see if the house is for sale. Will need a car when staying offsite. Though some of the big neighborhoods may offer shuttles, it is never a good idea to rely on them. There's a service called AutoSlash which tracks prices and then notifies you when prices go down. If you book with them they automatically re-book when the price drops. Consider ordering or picking up a SunPass toll tag to make it much easier to navigate Orlando highways. It usually makes sense for offsite guests with trips of 5 days or more to have at least 1 Annual pass. Here's a chart to explain why. You can obviously drive to shop for groceries, but you may want to save a bit of time by ordering them ahead of time. 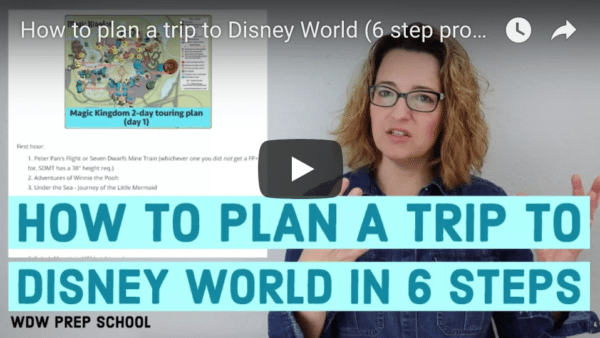 Heather and I both like Walmart Grocery where you can order online and schedule a time for pick up, or you can check out 8 ways to get groceries on your Disney World trip for more ideas. Upgrade to the latest version of the My Disney Experience app for navigational information to help you during your Disney World trip. Just FYI, Windsor Hills Resort has just launched a brand new website for owners to list their properties. Here you will find listings for homes, townhomes and condos. Staying off site for trip; what is all involved w parking at MK? How early do you recommend getting to the parking lot bf the parks open? From the parking lot do we take a shuttle to MK? Why do you advise guests to avoid using shuttles or Uber? We are doing a split stay, at AKL and then offsite for several more days. We have our room/tickets/meal plan booked for the AKL stay, but I don’t understand how/where to buy tickets for the time when we’re offsite. And can we link those tickets to our existing magic bands? And can we still make dining reservations and FPs if we aren’t staying onsite? (As you can tell, we’ve never stayed offsite before!!!! Hello! My family is planning our very first WDW trip for July 2017. We have decided to stay offsite and booked a home using Home Away. I wanted to let the other readers/listeners know that many of the homes are Disney themed throughout. The home we booked is Disney themed, right down to the dishes. I tried to stay away from homes with little or no reviews. The home that we chose has great reviews going back a few years. Like Heather said in the podcast, I was able to get a larger home for a great price. We are a family of 6 and our kids will be ages 9, 11, 12, and 13 when we travel. I wanted space to spread out and relax during our downtime. I was able to get a 4 bedroom, 3 bathroom home with a private pool in a caldesac for $117.00 a night. We are staying 8 nights. At first I was looking at condos but when I realized that homes would still fit the budget I started to look at those and was surprised at what I found. We also are in Tennessee so we will drive and have our own car. I think that staying off site is a very budget friendly option for larger families. I am saving a ton as opposed to staying at the Art of Animation family suite that we looked into at first. Hi Andrea, I am also planning for offsite stay with 10 people in our party. I am also driving from Nashville, TN. Can you share your contact details if you are willing to help me to plan our trip? I have several questions about Disney world. Hi Shannon. Love the site, facebook page, and podcast! I am now seriously considering an annual pass… Is there an easy to understand list of the Dining and Merchandise discounts for AP holders? 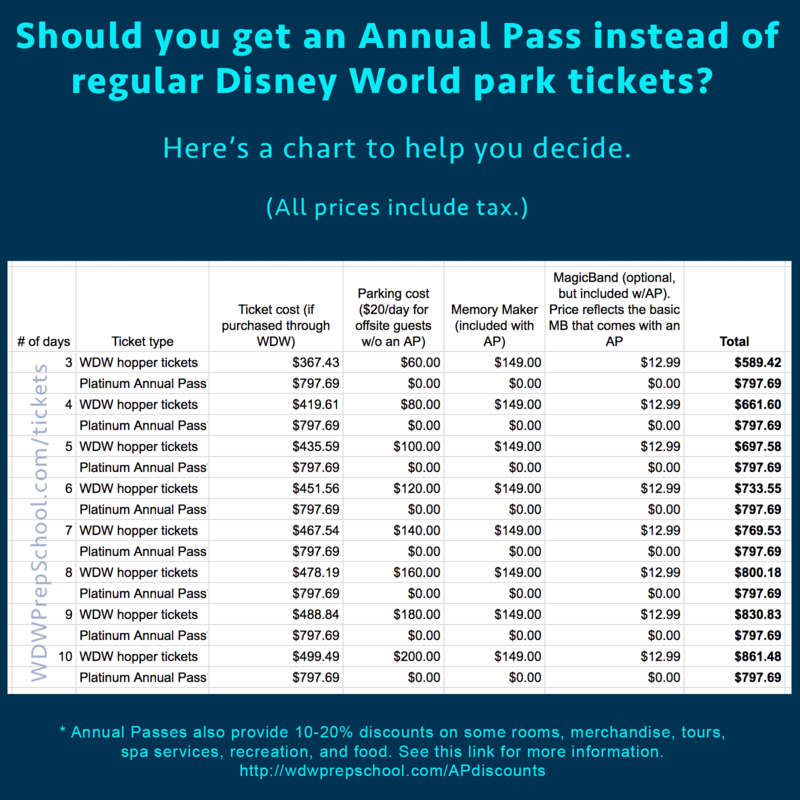 Hi, regarding renting a car, do you know how much parking is at the parks? Just trying to see if its worth staying off site and renting a car. It’s $20/day for cars to park at Disney World. We always stay off site but have never considered an annual pass. From what I have read, I can buy it online, but need to pick it up when I arrive. How do you book the Fastpass+? Will I have to pay parking the first day? Hi Shannon! Thank you for this podcast. First trip to WDW from Argentina in December and staying off site. We have a reservation at chef Mickey. Do we hace to Pay parking at the hotel? Excelent tips!! Love prepschool!!! Glad you liked this podcast! You won’t have to pay to park at the resorts. As you enter, you’ll just tell the guard that you have a dining reservation and then you can park. I really appreciated this podcast. We are staying on site our next visit but it’s our first time renting a car. The whole SunPass Toll tag discussion peaked my interest. Is there any more posts on choosing to order my own tag or selecting the option for the rental car company to pick up the tab on my tolls? Is the initial cost of a SunPass worth it ($20) vs. paying as I go with cash? Thanks for all you do! The rental car company fees can be really high and you’ll pay daily, even if you only do the toll tag once. You could also choose to bring lots of quarters and pay as you go if you don’t want to do either one of those things.